The future of Theater Latte Da starts Sunday. At 2 p.m., to be exact. That's when Latte Da opens its four-play Next Festival of new works-with-music. First up is Harrison David Rivers' "To Let Go and Fall," to be performed at 2 p.m. July 15 and 7:30 p.m. July 16. Taking its title from a John Cage love letter to Merce Cunningham, it's about two ballet dancers who reunite 25 years after their glory days. The reading of the play, a full production of which is already scheduled for Latte Da's upcoming season, features Mark Benninghofen, Andre Shoals and Tyler Michaels. Next up for Next is "Gun and Powder," Angelica Cheri and Ross Baum's winner of the 2018 Richard Rodgers Award for Musical Theater. Thomasina Petrus, Ivory Doublette and T. Mychael Rambo will appear in the musical, inspired by the true story of sisters who "passed" for white and became outlaws in the Wild West. That's at 7:30 p.m. July 20 and 23. Hope Nordquist and Kory LaQuess Pullam will lead "7 Shot Swing," Ryan Underbakke and Matt Spring's Roaring Twenties adventure, in readings at 7:30 p.m. July 26 and 28. 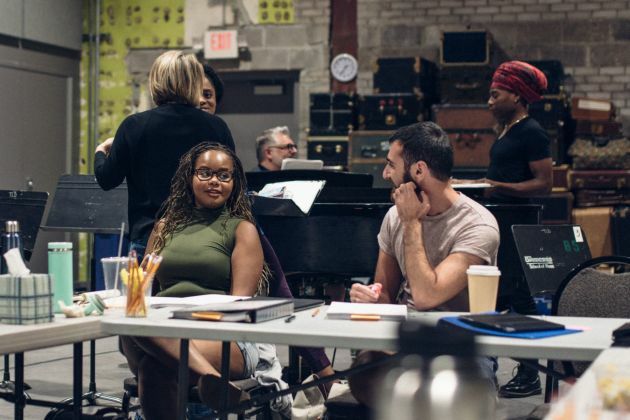 Following "7 Shot Swing" at 9:30 p.m. on both nights is "Pansy," featuring Max Wojtanowicz, who co-devised the piece with Nikki Swoboda, with additional lyrics and music by Michael Gruber. It's another true story, inspired by the 1930s gay underground cabaret scene in Los Angeles. Tickets to readings, available at latteda.org, are $15 apiece, or $30 will get you into all four at Ritz Theater, 345 13th Ave. NE, Minneapolis.